Ministers from the European Union (EU) Member States, candidate countries, Iceland, Norway and Liechtenstein have endorsed the new medium-term deliverables for vocational education and training (VET), known as the Riga conclusions. At a meeting hosted by the EU Latvian Presidency in Riga on 22 June, the ministers renewed their efforts 'in raising the overall quality and status of VET in the context of the Copenhagen process.' They aim to meet the education and training 2020 strategic objectives and reaffirm their support for the wider European growth and jobs agenda. introduce systematic approaches to, and opportunities for, initial and continuous professional development of VET teachers, trainers and mentors in both school and work-based settings. On 21 June, a Cedefop delegation consisting of Director James Calleja, Deputy Director Mara Brugia and expert Lore Schmid took part in the meeting of Directors General for vocational education and training (DGVT), which prepared the conclusions for endorsement and discussed a possible follow up to be done by Cedefop and the European Training Foundation (ETF). Mr Calleja was a panellist in the afternoon session of the ministerial meeting, which focused on the European alliance for apprenticeships (EAfA), established in 2013 to fight youth unemployment. The Cedefop Director contributed to the discussion on how to get companies on board, particularly SMEs. 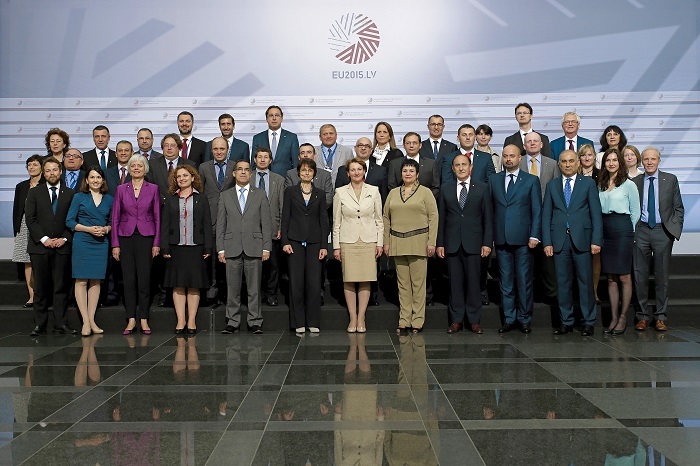 More than 40 companies and other organisations signed pledges to join the EAfA in Riga. They will make a total of 140 000 apprenticeships and training opportunities available to young people.